RioVida 4Life Review | Buy or a Scam? Distributors who work for multi-level marketing companies are usually only paid commission on sales they make. When their products are health orientated, this constant awareness of money can mean that distributors start to make increasingly exaggerated, unsubstantiated, or misleading claims about the benefits of the products being sold. 4Life Distributors have previously been accused of making false claims about RioVida 4Life and other supplements in the range. Below we take an in-depth look at RioVida 4Life, to see what benefits this drink offers consumers. 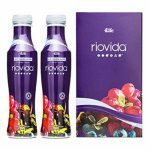 RioVida 4Life is a liquid supplement that provides “Transfer Factors”. A Transfer Factor is a chemical that is taken from a human or animal that has already developed protection (immunity) against a certain disease. In this case, it is extracted from cow colostrum and chicken egg yolks. RioVida 4Life may contain IGF-1, a growth hormone that features on the WADA list of prohibited substances that professional athletes are not allowed to use. If you are a competitive athlete, you should avoid this supplement or risk being disqualified or even banned from competition in the event of a positive blood test. What Are The Side Effects Of RioVida 4Life? Transfer factors that are taken from cows are possibly safe when used short-term, for up to 3 months. Fever is one known side effect of Transfer Factors. This supplement is not suitable for vegans, as it contains ingredients extracted from cow colostrum and chicken eggs. Overall, the potential side effects of Transfer Factors, the main active ingredients in this supplement, are incredibly under-researched. How Much Does RioVida 4Life Cost? RioVida 4Life can be purchased from the official 4Life website, or from individual distributors. Some distributors have set up their own websites to sell 4Life products from. A box containing two bottles costs $81.00 at retail price, or distributors can buy a box of two bottles for $61.00 at a wholesale price. Delivery charges may also apply. Customers can also purchase in bulk; an order of 12 boxes costs $895.00 at retail price (12 for the price of 11). At wholesale costs for distributors, an order of 12 boxes costs $671.00. Needless to say, this supplement is incredibly expensive! We are not impressed by RioVida 4Life. The product takes advantage of an under-researched but potentially promising area of medicine, Transfer Factors, which are currently being investigated as a way of potentially conferring immunity to people who need it (such as in the case of a compromised immune system). By selling a one-size-fits-all oral supplement, the manufacturers of RioVida 4Life are taking advantage of two distinct groups of people; those who do not need to boost their immunity artificially who are just being made poorer by purchasing this over-priced product, and those who are seriously ill, who place faith in this supplement to improve their immunity and their lives. 4Life have had a rocky history of making medical claims about their supplements, something that is illegal to do. In 2016, Tina.org compiled over 140 examples of unsubstantiated health and disease-treatment claims made by 4Life distributors about the company’s products, including treating or curing HIV/AIDS, cancer, and lupus. These claims help the company and distributors to take advantage of people in vulnerable situations, who are given the false impression that this supplement could help with their health. 4Life distributors are working on sales commission only, as 4Life operates as a Multi-Level Marketing company (MLM); this means that often people are more focused on the sale than on actually helping customers. RioVida 4Life is incredibly expensive, costing over $80 for a month’s supply of the supplement. The product is covered by a 30-day money-back guarantee. Overall, we do not recommend RioVida 4Life to our readers. 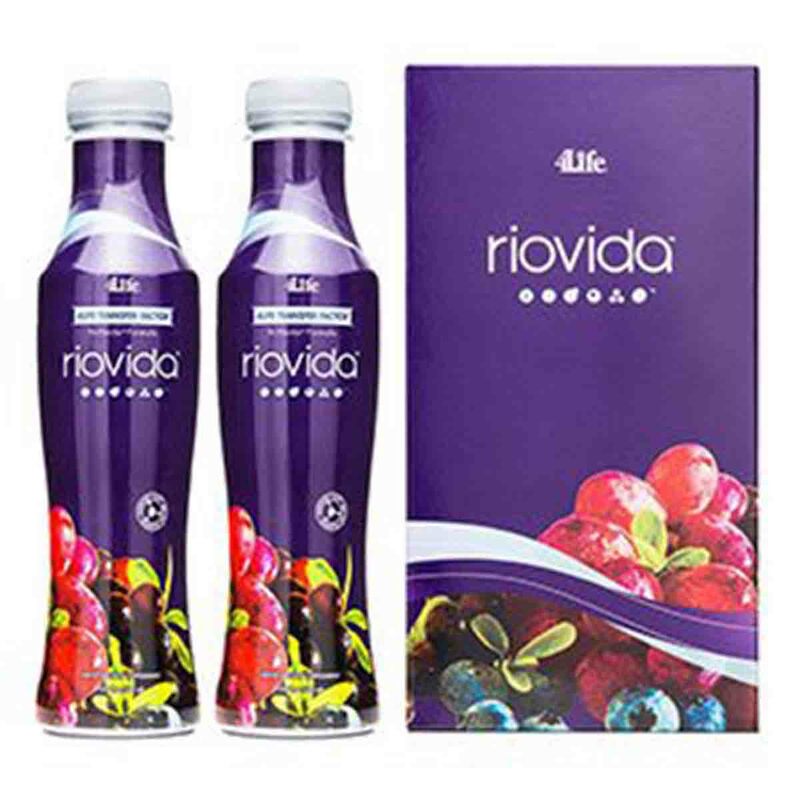 RioVida 4Life is an antioxidant-rich health drink that the manufacturers claim will support the immune system. Although the full name of this product is “4Life Transfer Factor RioVida Tri-Factor Formula”, it is often referred to as simply RioVida 4Life, probably because it acts as the manufacturer’s flagship product. Like the rest of the “Transfer Factor” range, it claims to boost the immune system primarily through the use of cow colostrum (a sample of the first milk that cows give to their new-born calves), as well as proteins/peptides found in chicken egg yolk. This product is manufactured by 4Life Research, a supplement seller and multi-level marketing company based in Utah, USA. Almost all of the products sold by 4Life claim to boost the immune system or prevent aging, mainly through the principle of “transfer factor” (which involves supplementing molecules extracted from bovine colostrum or chicken egg yolk in order to “teach” the immune system how to function more effectively). Like other MLMs, the company directs most of its attention to signing up independent distributors to sell the company’s products on its behalf, many of whom stand to make little to nothing in profit. The company can be contacted via the details supplied on their official website. Drink one (1) or more oz daily. Limit to 1 serving per day for children. Shake well before each serving. Refrigerate after opening. What Does RioVida 4Life Claim To Do? On the official 4Life sales website, RioVida 4Life is described as being an immune supporting liquid supplement that contains Transfer Factor extracted from cow colostrum and chicken egg yolks, as well as antioxidants from fruit juices. They claim that this combination of ingredients helps to support healthy aging, the immune system, and overall wellness, as well as supporting brain health, heart health, and increasing energy levels. RioVida 4Life is a supplement, not a medication, and so 4Life Research are restricted on what claims they can make about this supplement. However, this has not stopped distributors and reviewers from illegally making dramatic medical claims about this supplement and other supplements from 4Life (all of which feature Transfer Factor), such as curing cancer, asthma, cold sores, bronchitis, Lupus, Hepatitis C, and even HIV. These claims are all unsubstantiated, as well as illegal and misleading. When Transfer Factor is given to patients in a medical context, it is usually delivered via injection whereas this supplement is taken by mouth. Dosages are also calculated based on the weight of the patient. Finally, the majority of studies looking into the potential benefits of Transfer Factor are trying to treat one particular disease or illness, and use targeted Transfer Factors specific to the virus or disease. For healthy readers who are considering purchasing this product, it is important to remember that your immune system is already capable of fighting off diseases, and is constantly learning and adapting to new threats. This supplement is therefore unlikely to offer any significant improvements to your immunity; ensuring that your general diet is healthy, especially your intake of vitamins and minerals, would probably have a more pronounced effect upon your general health. What Are The Ingredients of RioVida 4Life? The ingredients found in RioVida 4Life are listed below. Individual ingredient quantities are not provided, as the product contains some proprietary formulas. The quantities listed below are per serving of 30ml (1fl oz.). NanoFactor: A proprietary concentrate of nano-filtered cow colostrum. Apple, Purple Grape, Blueberry, Acai, Pomegranate, and Elderberry fruit juices from concentrate: This fruit juice blend is intended to add flavour to the drink, but it could also be a source of some antioxidants. Antioxidants and bioflavonoids can offer various health benefits, and can contribute to general wellness, but the manufacturers provide no information about what antioxidants could be found in this juice blend, or in what quantities. Does RioVida 4Life Have Any Side Effects? Transfer factors that are taken from cows are possibly safe when used short-term, for up to 3 months. Fever is one known side effect of Transfer Factors. This supplement is not suitable for vegans, as it contains ingredients extracted from cow colostrum and chicken eggs. Not suitable for pregnant or breastfeeding women. Not suitable for anyone under the age of 18. If you are taking any medications or are unsure about the suitability of this supplement for you, consult your doctor before purchase. May not be suitable for anyone with a milk allergy or egg allergy. Are There Any Customer Reviews For RioVida 4Life? There are lots of customer reviews for RioVida 4Life on Amazon. 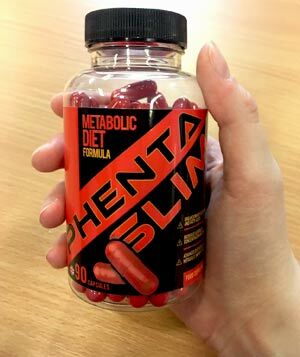 Some of the reviews are quite suspect, with several reviewers suggesting that this product is ideal for those who have been diagnosed with cancer. There are also reviews and testimonials around the internet claiming that RioVida 4Life products have cured their cancer completely, without chemo or radiotherapy. If you have been diagnosed with cancer, you should consult your doctor or specialist before purchase, to see if this supplement could offer any benefits in your particular case. You should not forgo actual medical treatment. This product is a very good for people that have cancer. It helps to increase the blood count… and to kill the bad cells. How well your immune system is working is quite a subjective thing to measure, many of the customer reviews are quite vague. i finish the first two bottles today and will start on my third one. i don’t know how can i tell if its working. feel no difference. a friend recommended to help me with chron’s bleeding and fatigue. don’t see a difference yet. I was hoping it would work, particularly since it has many great reviews and product description indicates it increase energy and vitality. After a month and a half of taking product with zero effects thus far, i am starting to conclude that it does nothing that i can notice. Does RioVida 4Life Offer a Money-Back Guarantee? The 4Life returns policy is not well advertised, being hidden on page 43 of their Policies and Procedures document. They offer a 100% 30-day money-back satisfaction guarantee (minus shipping charges) to all retail customers and preferred customers. If you purchased from a distributor, then the return should be arranged through that distributor. If you purchased directly from the company, then the product can be returned straight to the company. Returns made by distributors are subject to more restrictions. Full terms and conditions can be found on the “Policies and Procedures” document, which is available on the 4Life official website. Where Can I Buy RioVida 4Life? The product is also available to purchase from Amazon, where two bottles cost $67.20 at the time of writing. It appears that the price of RioVida 4Life changes regularly on Amazon. Delivery charges may also apply. 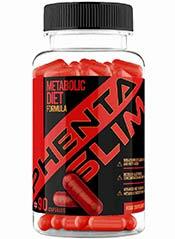 How does RioVida 4Life compare to Phentaslim? The Diet Pills Watchdog does not recommend RioVida 4Life.